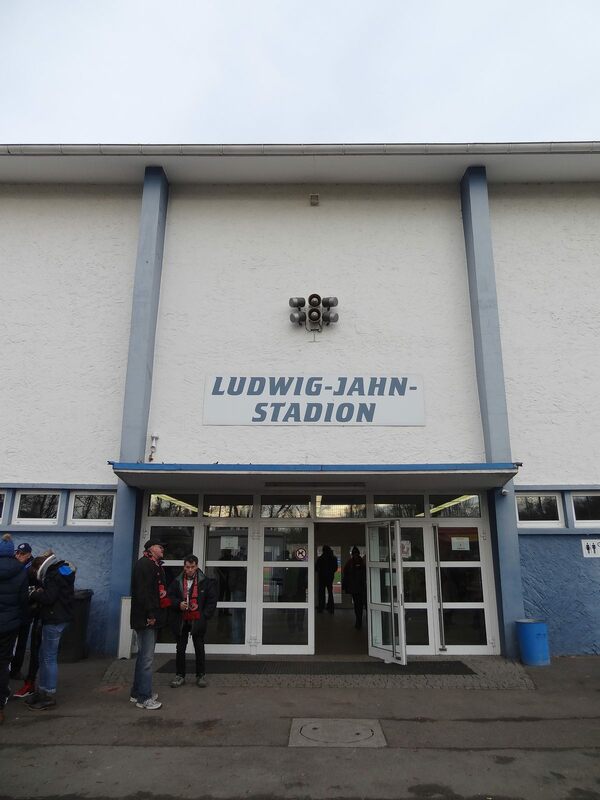 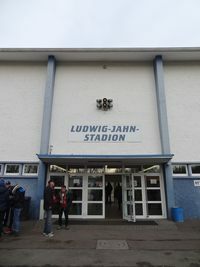 The stadium built in 1955 bears the name of Friedrich Ludwig Jahn, “the father of gymnastics”. 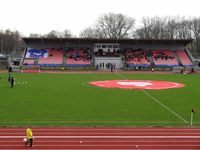 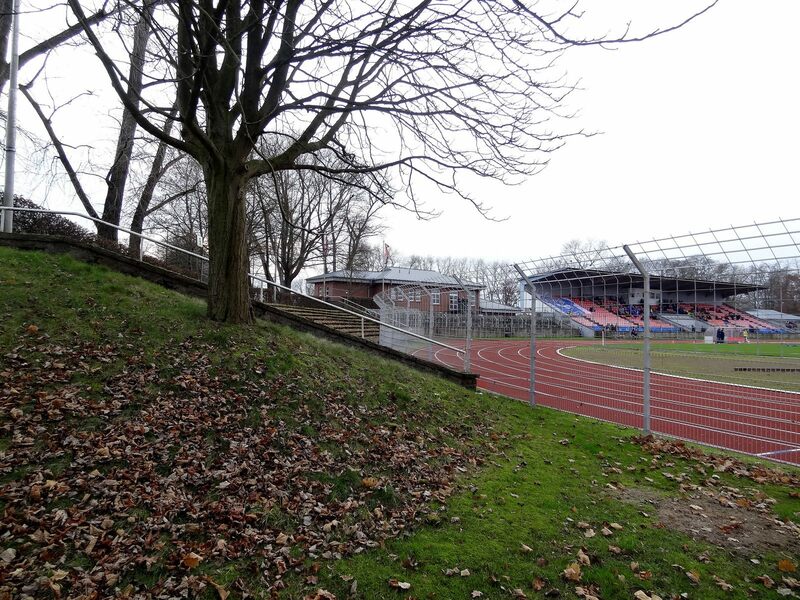 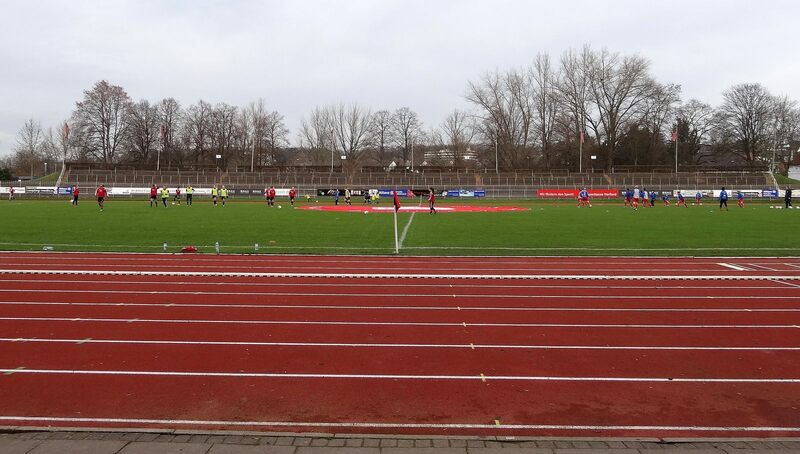 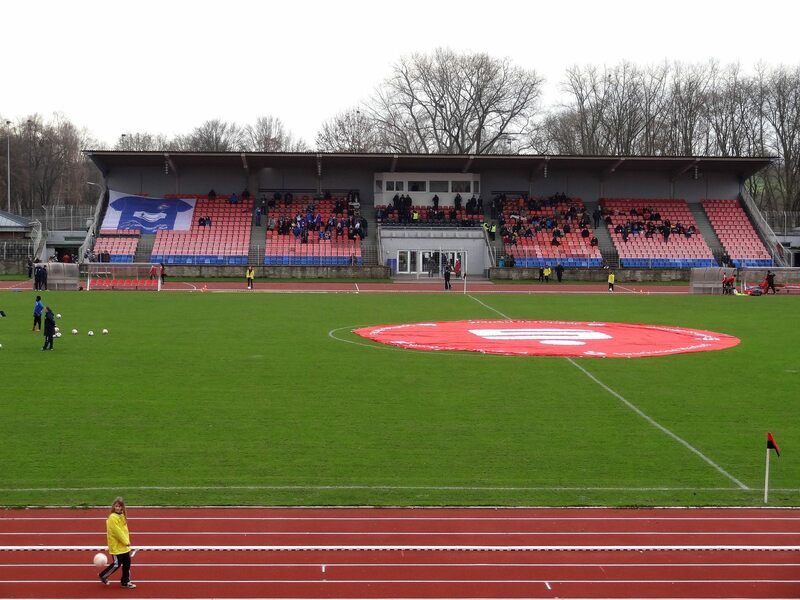 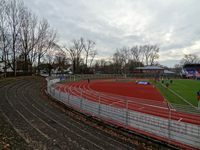 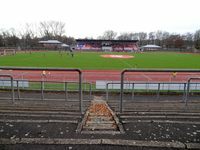 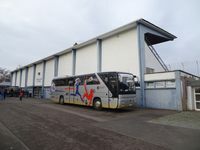 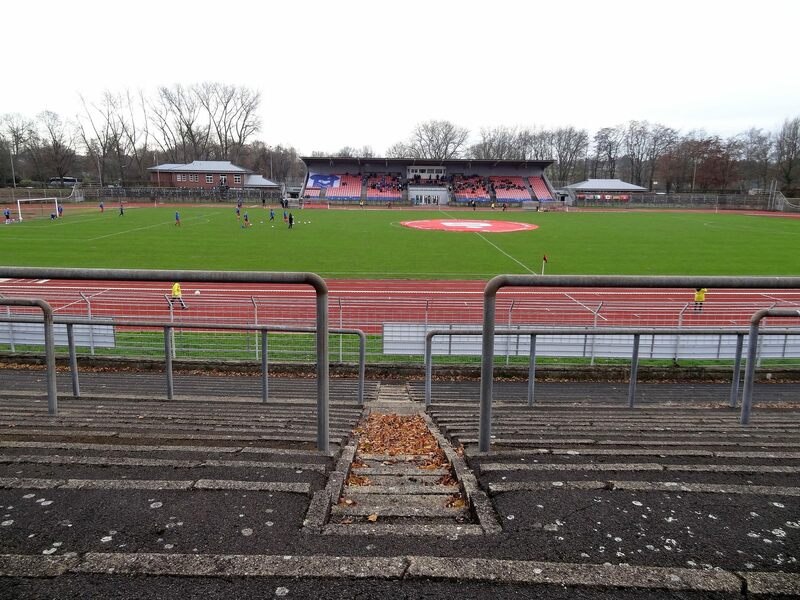 While its athletic track is used for training, professional use of the stadium is provided by SV Herford (women’s Bundesliga) and SC Herford. 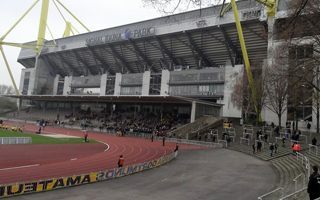 The main grandstand is located in the south, offering 1,400 seats under roof. 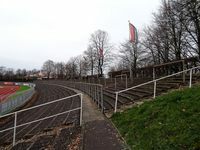 Remaining sections are dated terraces calculated to safely hold 17,000 people. 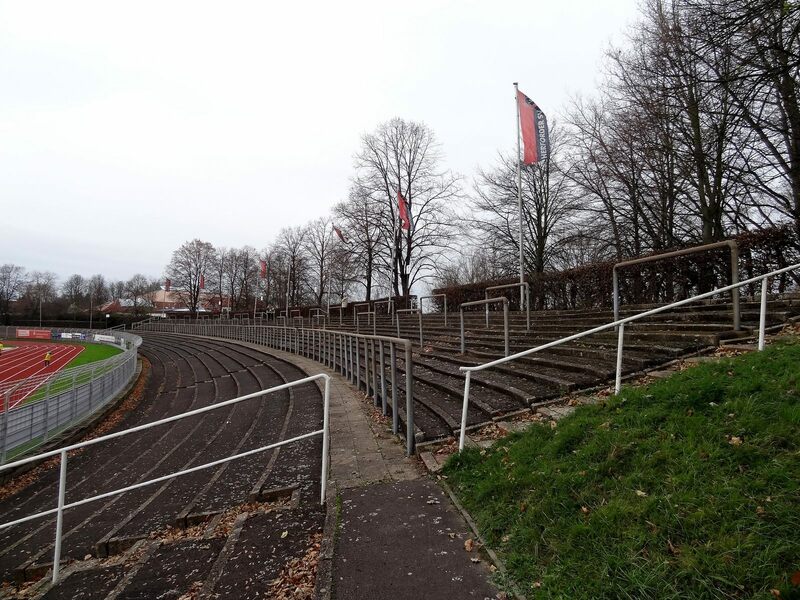 However in history these terraces have witnessed much larger crowds. 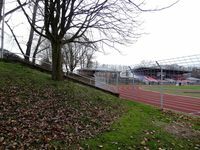 Aside of the main stadium there also are two natural fields, two synthetic ones and a single clay pitch, all for training purposes.